We recommend checking out our discussion threads on the Bolide Technology Group Self Recording SONY Radio Clock BM3241, which address similar problems with connecting and setting up Hidden Cameras Bolide Technology Group. The user manual for the Bolide Technology Group Self Recording SONY Radio Clock BM3241 provides necessary instructions for the proper use of the product Surveillance - Hidden Cameras. 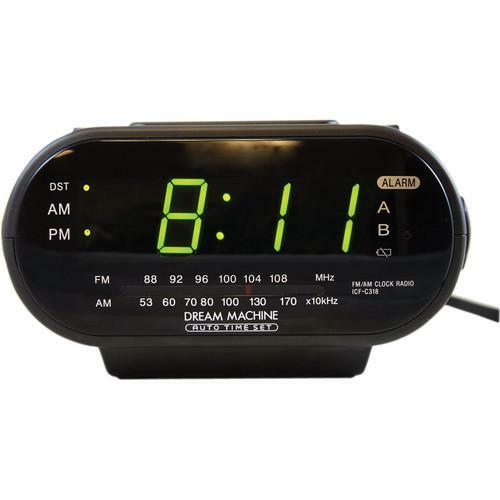 The Bolide Technology Group Self Recording SONY Radio Clock Hidden Spy Camera with DVR with a SONY CCD sensor that supports resolutions up to 720 x 480 pixels and offers enhanced video performance at 30 fps in D1 resolution. Besides the manual/scheduled recording, the covert camera also offers a configurable motion-detection mode that triggers video recording as soon as any motion is detected. It features 150 grids for enhanced motion detection sensitivity. The BM3241 allows videos to be recorded with an embedded time and date stamp. An RCA cable can be used to connect it to any monitor or TV to view the recorded video. The BM3241 offers infrared remote control and allows you to set the recording type - sensitivity mode, high, or fastest. It has a USB SD card reader and supports up to 16 GB SD card. Firmware can be upgraded via an SD card. Box Dimensions (LxWxH) 10.4 x 8.5 x 5.7"
The user manual for the Bolide Technology Group Self Recording SONY Radio Clock BM3241 can be downloaded in .pdf format if it did not come with your new hidden cameras, although the seller is required to supply one. It is also quite common that customers throw out the user manual with the box, or put the CD away somewhere and then can’t find it. That’s why we and other Bolide Technology Group users keep a unique electronic library for Bolide Technology Group hidden camerass, where you can use our link to download the user manual for the Bolide Technology Group Self Recording SONY Radio Clock BM3241. The user manual lists all of the functions of the Bolide Technology Group Self Recording SONY Radio Clock BM3241, all the basic and advanced features and tells you how to use the hidden cameras. The manual also provides troubleshooting for common problems. Even greater detail is provided by the service manual, which is not typically shipped with the product, but which can often be downloaded from Bolide Technology Group service. If you want to help expand our database, you can upload a link to this website to download a user manual or service manual, ideally in .pdf format. These pages are created by you – users of the Bolide Technology Group Self Recording SONY Radio Clock BM3241. User manuals are also available on the Bolide Technology Group website under Surveillance - Hidden Cameras.